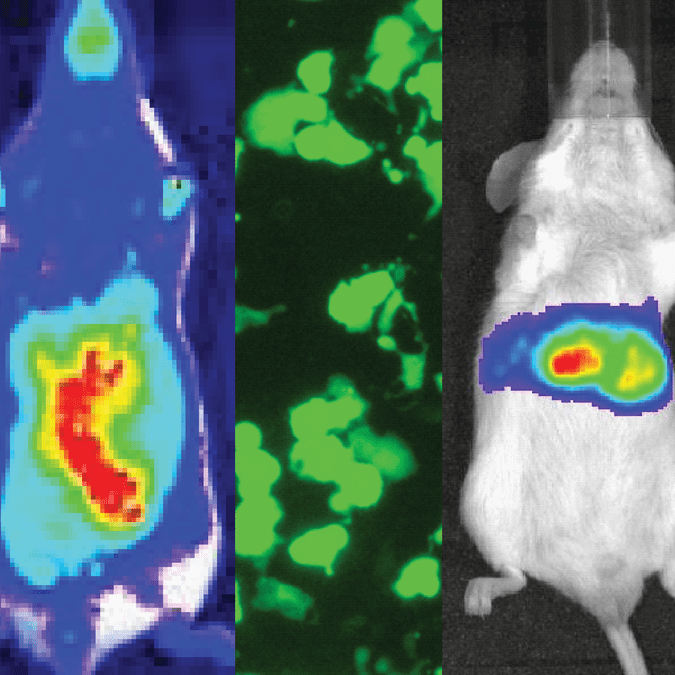 The MSCV-Luciferase-EF1α-copGFP-T2A-Puro BLIV 2.0 Lentivector for In Vivo Imaging leverages SBI’s well-regarded lentivector technology for either transduction or transfection of the reporter into target cells. The 2.0 BLIVs have been further engineered to provide enhanced performance and reliability than the first-generation vectors. Note that lentivectors can be used to generate stable reporter cell lines as they integrate into the genome. The MSCV-Luciferase-EF1α-copGFP-T2A-Puro vector expresses luciferase from a CMV promoter for high expression in most cell types, and the bright copGFP from the EF1α promoter for medium expression. Available as either a plasmid or pre-packaged virus.